Graduate of The Jagiellonian University in Law in 1997. Between 1998 and 1999 worked as Legal Assistant in Legal Advisor’s Chamber preparing legal opinions, agreements and legal audit (due diligence). Between 1999 and 2004 was Tax Supervisor in Value Added Tax Department of Tax Chamber in Cracow, responsible for preparation of administrative decisions and proceedings, formal and material verification of documentation collected (legal and accounting correctness and accuracy). 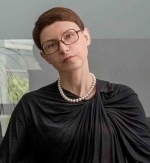 Maria Kołodziejczyk is in charge of Tax Advisory department in AdAc. She participates in audit financial statements, supervising audit of tax sections. Expert in foreign investments taxation, consequences in corporate and personal income tax, value added tax of purchasing real estates and developing issue. Experience in management of tax audit projects, Due Dilligence and preparation of transfer pricing documentation. Registered Certified Tax Advisor No 09952.